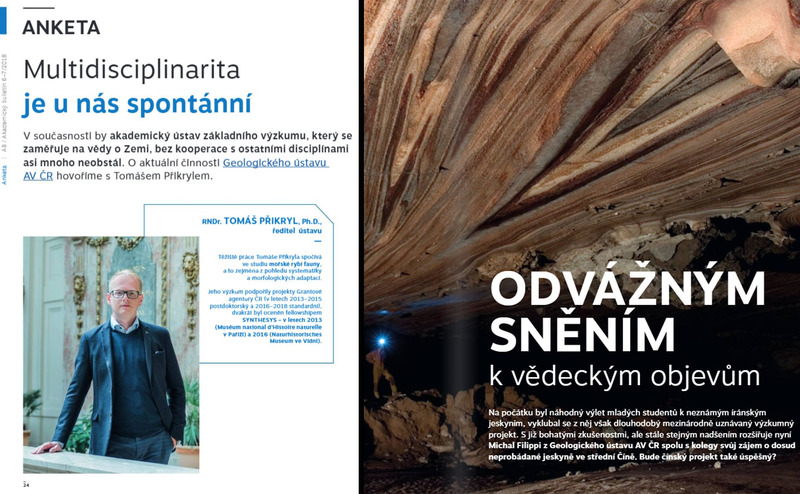 Interview with director Dr. Tomáš Přikryl issued the AB academic bulletin. In this interview, Dr. Přikryl describes some of research topics of the staff and outlines the way of their work. For details (in Czech) click here. In the second official academic magazine “Áčko- science and research”, an article was published based on an interview with the deputy director Dr. Michal Filippi. This article describes long-term research performed in a unique salt karts in Iran, but also a new exploration of the unknown karst regions in central China. For details (in Czech) click here.